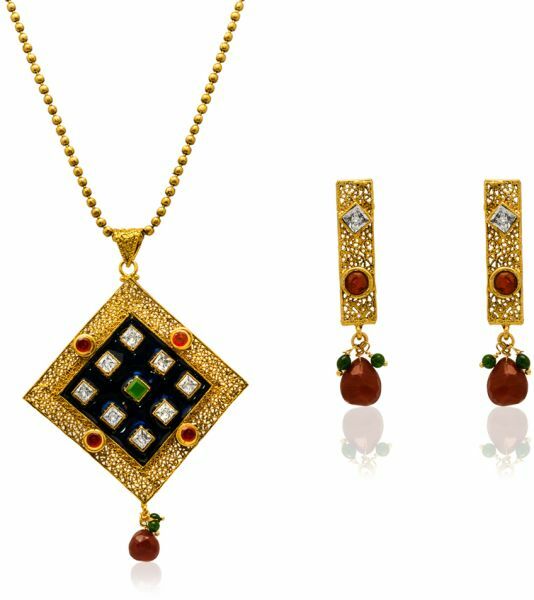 Create a perfect classy look wearing this yellow gold plated jewelry set with multi-colored crystals, this set will accentuate your feminine charm like never before. Lightweight and durable. Wear it with traditional outfits to complete your look for the day. Wipe jewelry with a soft cotton cloth.